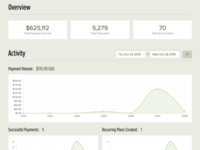 In about 5-10 minutes, MoonClerk allows you to start accepting recurring and one-time payments online or in-person without any programming or implementation costs. 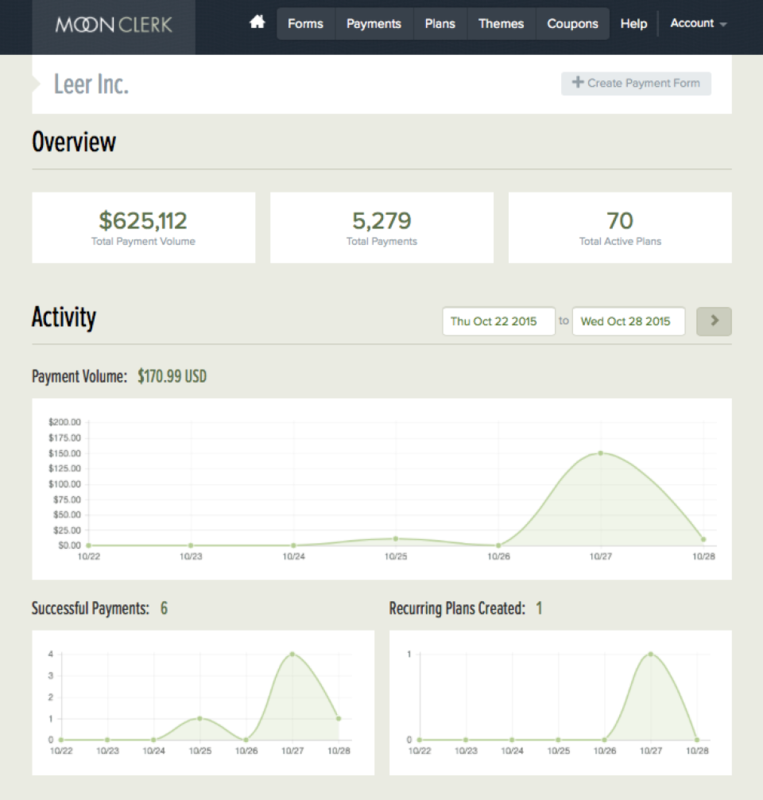 MoonClerk works with small businesses and nonprofit in almost any industry. We'd love to have you Explore MoonClerk for free. 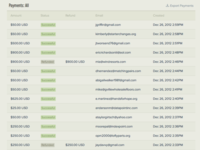 Pros: MoonClerk was suggested to me by my website designer to set up automatic monthly donations through our website. I connect it with Strive, so I have two software systems. For donors, it is easy to give a one-time or monthly donation, and it only takes a minute to give! The customer support was great, and they walked me through how to add it on our website. I'm not a tech-person, but I was able to follow the instructions easily. It is on the our nonprofit's website, and doesn't take you to a third-party website. The fee is based off how many donations you receive. Cons: I had a donor that wanted to change the amount of her monthly giving, and that is something that I, as the administrator, had to do. There isn't a way for monthly donors to update their preferences. Overall: I've seen an increase in online giving because it is so easy and professional. I hope this helps. Feel free to shoot us a message if you ever need help with anything or have feature suggestions. Thanks! Pros: there are a lot of payment solutions out there, but we were looking for something that worked for our small company. This did the trick and we have no regrets about using it. Cons: no subscription option, which isn't a problem for us currently, but down the line it could cause some issues. 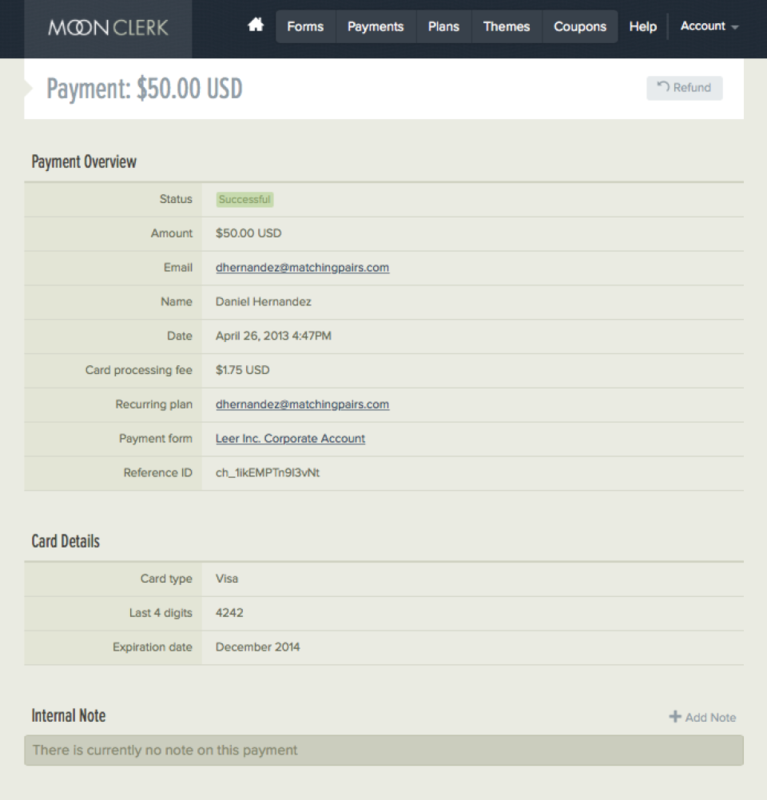 Pros: I love having payments automatically charged to my website hosting clients. Before, I invoiced monthly and had to wait for them to decide they were ready to pay. It's such a time saver for both me and my client now. 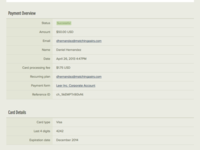 Cons: Setting up the Payment Forms took a little getting used to, but I got help with my use case and I'm set. 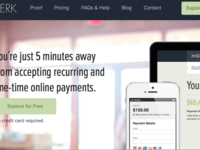 Overall: I looked into several different recurring payment platforms, and this was the only one that offered what I needed without paying for a payment processor + merchant account. I'm glad I found it! 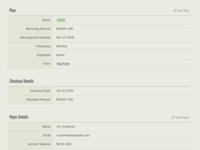 Pros: This is a simple way to automatically charge customer credit cards on a recurring basis. Cons: The interface is a little outdated looking, and the features may be too simple for some. Pros: Seems to have some decent integrations other platforms don't have and enables things like coupon usage. Cons: Had a struggle with getting moonclerk setup. My instance for some reason just didn't work, support was not able to resolve the issue and get it working. 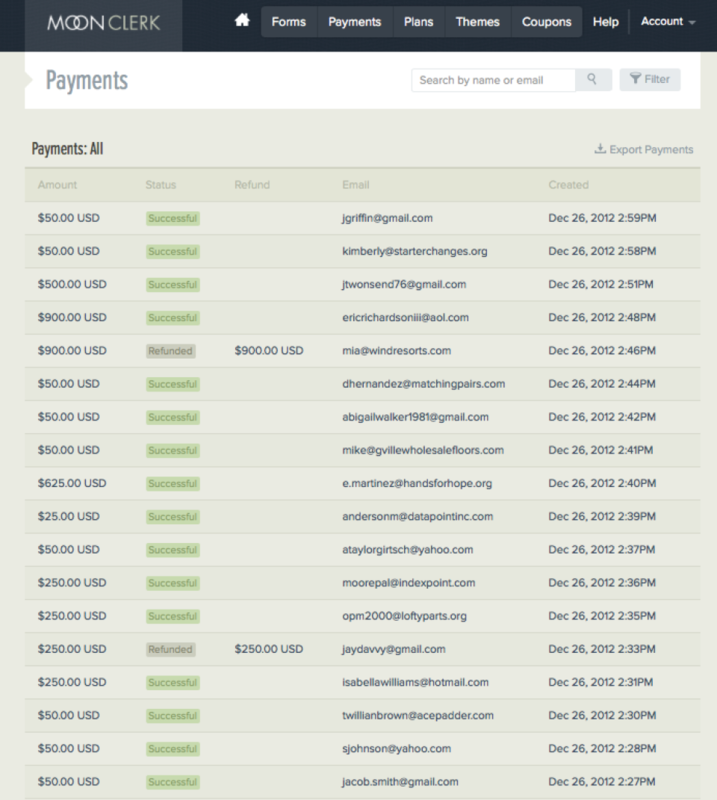 Pros: We were able to use this software through one of our websites to collect money for our fundraiser. 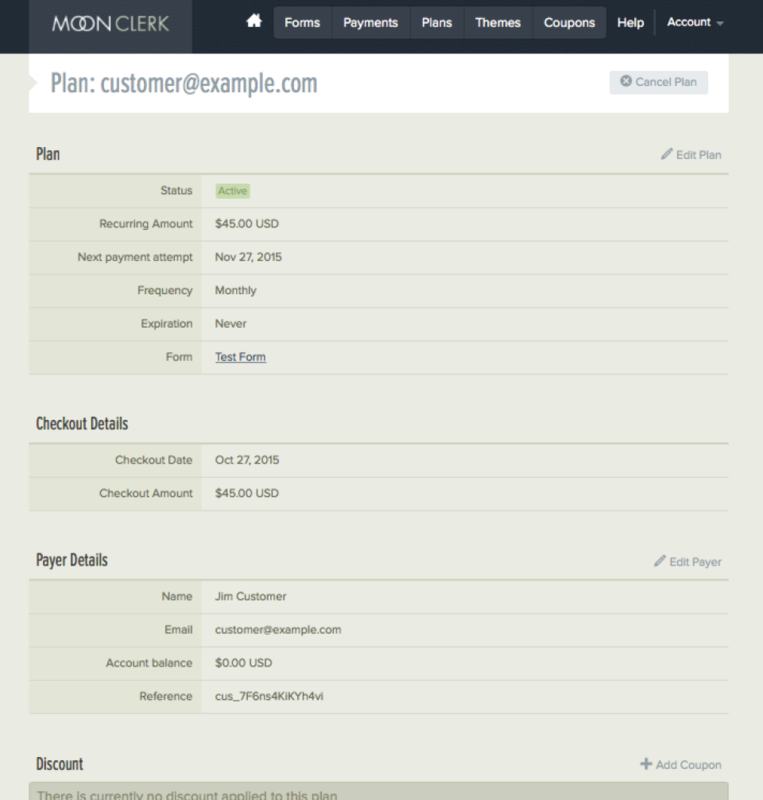 Allows you to accept payments in different forms as well as international payments. Found it to be very easy to setup and use. Cons: Moonclerk prices vary by your volume of sales. As your sales start to increase, the price of the software does as well.